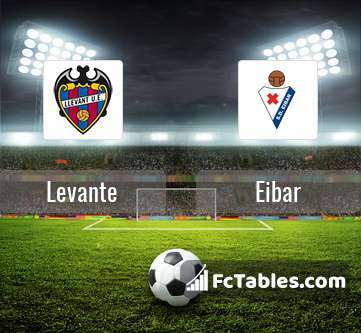 The match Levante-Eibar La Liga will start today 10:00. Referee in the match will be Eduardo Prieto. Team Levante is located in the middle of the table. (15 place). Levante in 5 last matches (league + cup) have collected4 points. Levante did not win the match from 4 games. The most goals in La Liga for Levante scored: Roger 10 goals, Jose Luis Morales 8 goals, Borja Mayoral 3 goals. Most goals developed: , Jose Luis Morales 3 assists, Borja Mayoral 1 assists. In Levante not occur in the match due to injury: Cheick Doukoure. The match will not occur Chema because they are suspended (cards, etc.). Team Eibar is located in the middle of the table. (12 place). Last 5 games (league + cup) finished balance 5 points. 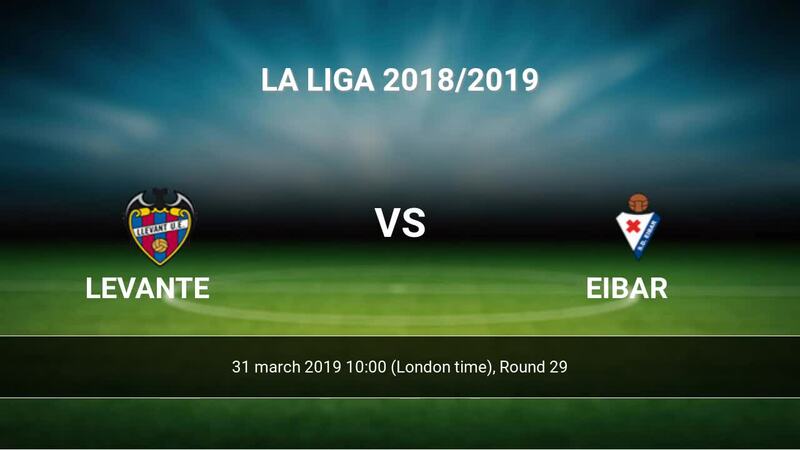 Eibar from 9 matches away can not beat any rival. 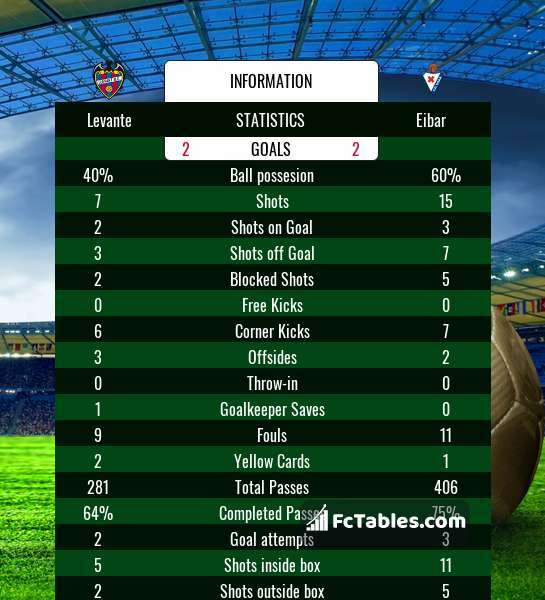 To defend Levante the most demanding players will be Charles 12 goals, Sergi Enrich 6 goals, Joan Jordan 3 goals, because this season they scored the most goals for Eibar of the entire composition. Most goals developed: Charles 1 assists, Sergi Enrich 3 assists, Joan Jordan 4 assists. Injuries in the team Eibar: Jordi Calavera, Pedro Bigas, Anaitz Arbilla. Direct matches: Levante won more direct matches. Levante won 5 matches , Eibar won 4 direct matches, was a 11 draws. In 8 matches the sum of the goals both teams was greater than 2.5 (Over 2.5), and 13 matches teams scored more than 1.5 goals (Over 1.5). In 9 matches the both teams scored a least one goal (Both teams to score).